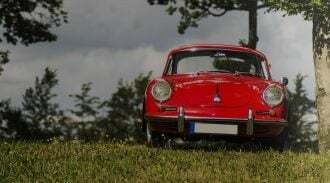 What's the Best Car Insurance in NJ? You can’t afford to be caught driving without insurance. Join us as we compare New Jersey car insurance policies and see just how much rates may differ from company to company in this state. We can help you find the best car insurance quotes at the right price. Though it may appear cheaper to opt for the bare minimum of required coverage, it might be a better idea to get a little more than that. That’s because even one accident can easily cause more damage than the basic coverage you carry. If your insurance doesn’t cover the entire claim, you’ll be responsible for paying the remainder out of your pocket. It’s your responsibility to compare multiple car insurance quotes to find the right coverage with the best rates. Does Cheap Car Insurance Exist in New Jersey? So, why is cheap car insurance in NJ so tough to find? The story here isn’t just that New Jersey drivers pay so much for auto insurance, but why they pay so much. New Jersey, it seems, doesn’t do auto insurance the same as other states and for that reason, it’s hard to compare prices between New Jersey and other states. By using our internal data, we were able to analyze thousands of NJ drivers that have bought through Compare.com in 2016 – 2018. We separated drivers that were previously insured and drivers that had let their insurance policies lapse. Diving further, we also compared full coverage against liability only. Interestingly, we do see a decrease in rates from 2017 to 2018. Perhaps it’s a good time to compare rates in New Jersey? We’ll keep an eye on this to see if trends hold. Attention: If you let your insurance lapse, your rates will almost certainly rise. Review the differences in liability and full coverage below. How did we pull these numbers? – For this study, we calculated the average quote for both previously insured & not previously insured New Jersey drivers that had only one car in the household and no existing claims, tickets, or accidents. We then compared their full coverage quotes against their liability only quotes. Analyzing rates by age, we see that the younger, higher risk drivers are paying more for car insurance. Millennials are the most expensive to insure, with 18 & 19-year old’s topping our charts. We left out 16 and 17-year-old drivers due to the lack of data. This could be due to many of these younger drivers being added to their parent’s policies. For the tables below, we used single drivers with only one car on their policies. We found that female drivers in New Jersey are paying around the same premium for state minimum coverage, however, full coverage is a different story. As a female driver, you could expect to pay a bit more than your male counterparts. Why is New Jersey Auto Insurance so Expensive? With previously insured drivers paying around $1,230 for liability only and high-risk drivers paying around $2,228, we can olny ask ourselves, “Why?”. The reason the numbers are so much higher is that consumers in the state, on average, are electing for higher coverage levels. That means that you can get more affordable coverage in New Jersey, but the average consumer there feels it necessary to utilize higher coverage levels to protect themselves. This can be related to several factors, some of which are related to the fact that most of New Jersey is an urban area. Urban areas carry with them higher crime rates and higher numbers of auto accidents and subsequent insurance claims. Another reason New Jersey auto insurance rates are higher than the national average is because the insurance agencies in that state allow for much higher Personal Injury Protection (PIP- a coverage that covers medical costs related to a vehicle accident) coverage limits, which in turn, drives up the cost of auto insurance. New Jersey allows for the second highest levels of PIP coverage in the U.S., second only to Michigan whose PIP limits can be as high as the buyer wants (provided they are willing to pay for the coverage). Living in New Jersey features its own unique challenges regarding car insurance. If you’ve just moved to the state, or you’re getting car insurance for the first time, you need to understand that insurance works here in a little different way from many other states in the United States. Find out more about its laws below. Years ago, some states adopted a car insurance system that designated the state as either “fault” or “no fault.” The purpose is to determine whose insurance policy would be used first after an accident. Traditionally, we presume that whoever is at fault for the collision would offer his or her insurance to cover any damages. That’s true for states that use the “fault” system, but it doesn’t work that way in a no-fault state. States like New Jersey that have adopted the “no-fault” system require drivers involved in an accident to seek compensation for injuries and lost income from their own insurance policies regardless of who is deemed at-fault. If the accident qualifies for a direct injury claim, then the injured party can recover damages for pain and suffering as well as other non-economic losses that are otherwise prohibited in a personal injury claim. Although it’s a no-fault state, New Jersey gives consumers a choice when it comes to what type of policy they wish to purchase. For example, you can select the option of a limited right to sue, or unlimited right to sue. When you choose a limited right to sue, your premiums will be considerably cheaper, but in exchange, you are forfeiting your right to sue another party for pain and suffering. What’s the Difference Between Liability, Comprehensive, and Collision Coverage? Car insurance companies aren’t trying to cause confusion. Rather, they’re giving you the ability to meet your state’s minimum coverage requirements. They can also provide options to get full coverage if you want it. It’s not hard to become confused when insurance companies talk about liability, comprehensive and collision. But they’re fairly simple once you understand what these different types of coverage are for. Optional coverage is designed to protect your own property, and it includes comprehensive, collision and underinsured/uninsured motorist coverage. Mandatory coverage exists to protect other people, also known as liability insurance. 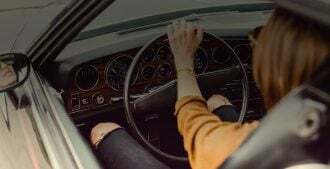 Depending on your age, gender, marital status, and your credit history, the premium for your auto insurance coverage is going to vary compared to your neighbor’s … even if the two of you drive the same vehicle. Your driving record also counts when determining your policy cost. The only way you’ll know if you’re getting the cheapest car insurance rate in New Jersey is to compare. Let us do the hard work for you. We can perform an insurance quote comparison in just minutes, so start today.